This Old El Paso™ recipe makes 10 Prawn and Salsa Soft Tacos. Made using our Chili Spice Mix, this dish is a delicious twist on authentic Mexican soft tacos. Just add fresh ingredients like sour cream, green capsicum, prawns and coriander. 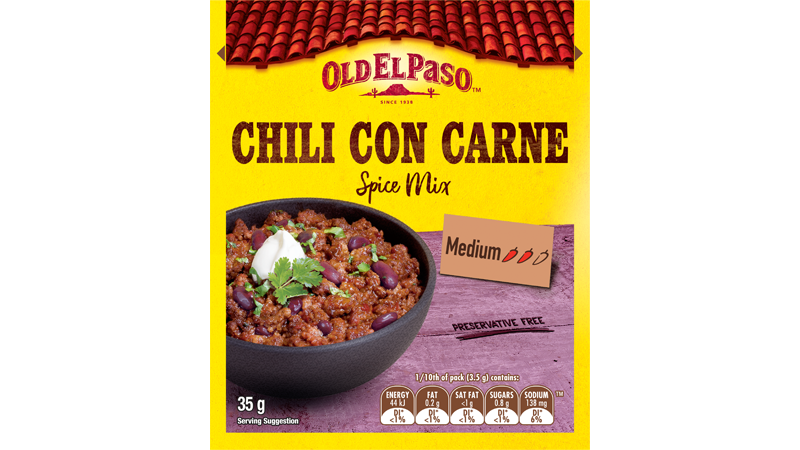 It has all the flavours of Mexico with extra spice! Blend Spice Mix with olive oil in a medium sized bowl. Add prawns and toss to coat well. Heat oil in large frying pan. Add prawns to hot pan and cook for 2 - 3 minutes or until pink. Add tomato juice and lime juice and simmer for 1 minute. Combine cucumber, capsicum and coriander to create a fresh salsa. Mix extra coriander into sour cream until well combined. For warm Soft Tacos, open Soft Taco pouch, discard Freshness Sachet. Microwave Soft Tacos in pouch on HIGH/1100 watts/100% power for 40 seconds* or remove from pouch, wrap in foil and heat in oven at 180ºC conventional (160°C fan forced) for 10 minutes. *Times may vary depending on microwave wattage. Decrease time for fewer Tortillas. Increase time when using a microwave oven lower than 1100 watts. 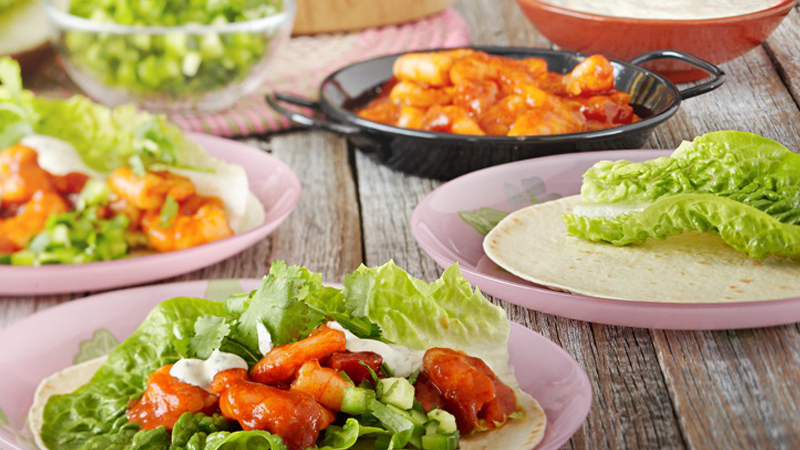 Build your own Soft Tacos with lettuce, chili prawns, sour cream and fresh capsicum salsa.